HE'S SOOOOOO CUTE!! OR SHE'S SOOO CUTE. 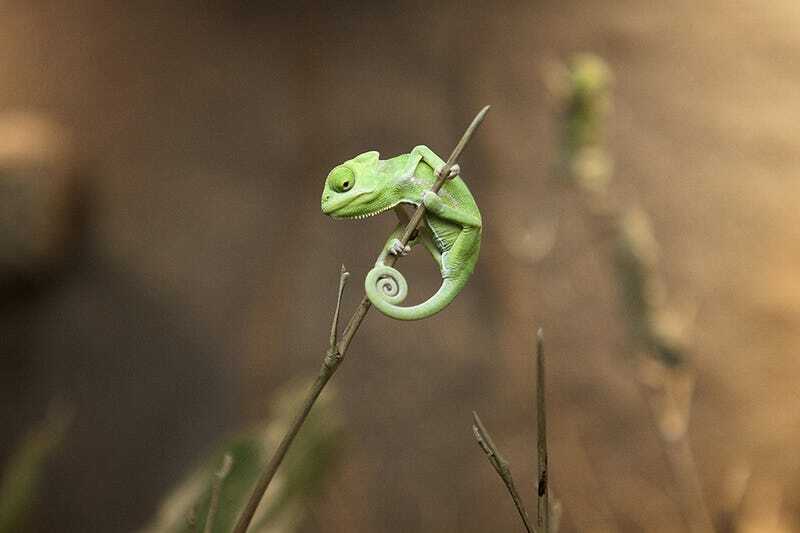 Chameleon's are just adorable. I took the pet picker quiz from animal planet and it told me I shouldn't get a pet. I appreciate this answer because I know it's true. Yes, I want a pet (dog, snake, chameleon, fancy mouse) but truth is I am never at home enough for the poor thing. My life is constantly changing so it would be unfair to the poor critter. I guess I'm buying another plant. As my brother teased "Better Poison Ivy than Cat woman."